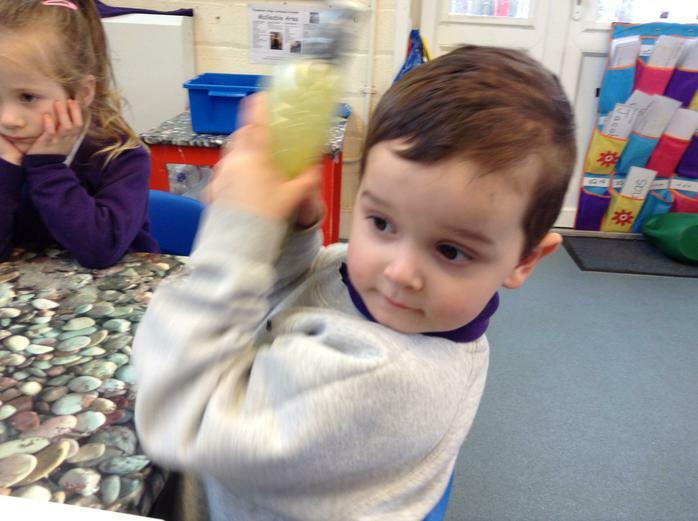 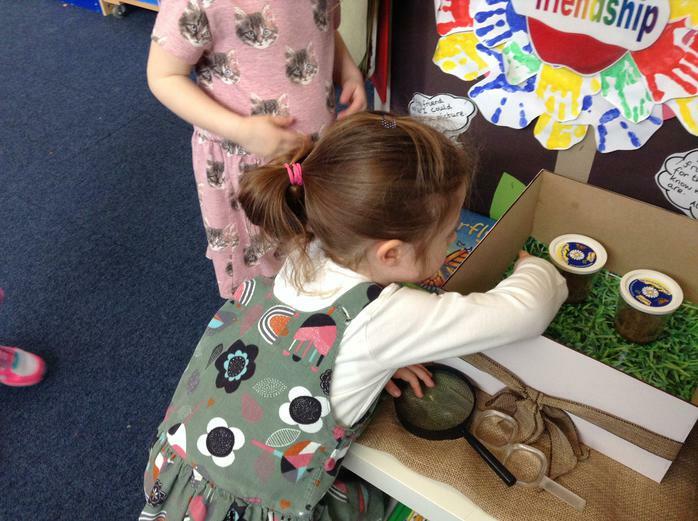 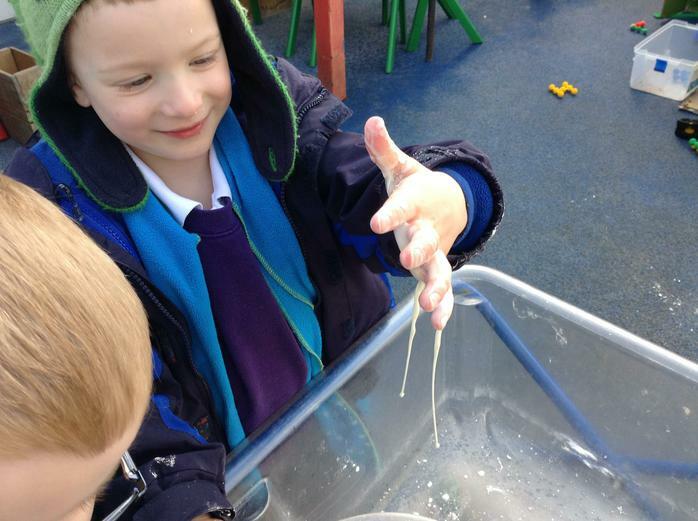 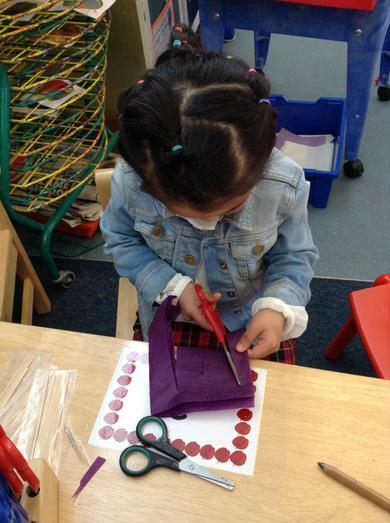 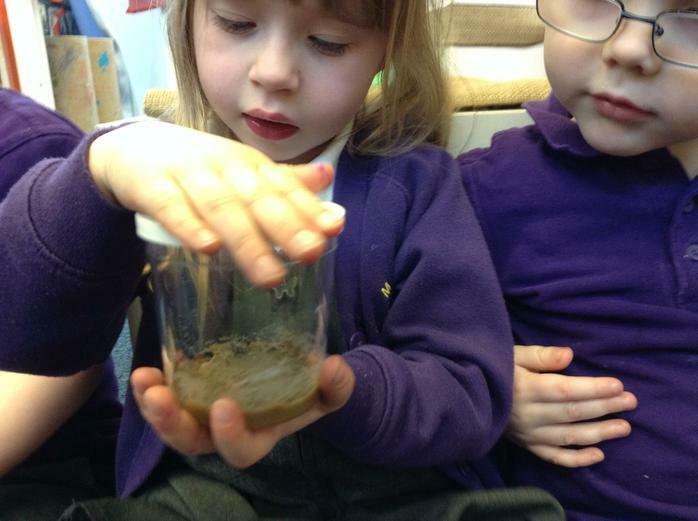 This week was all about experiments, exploration, investigations and looking at changes. 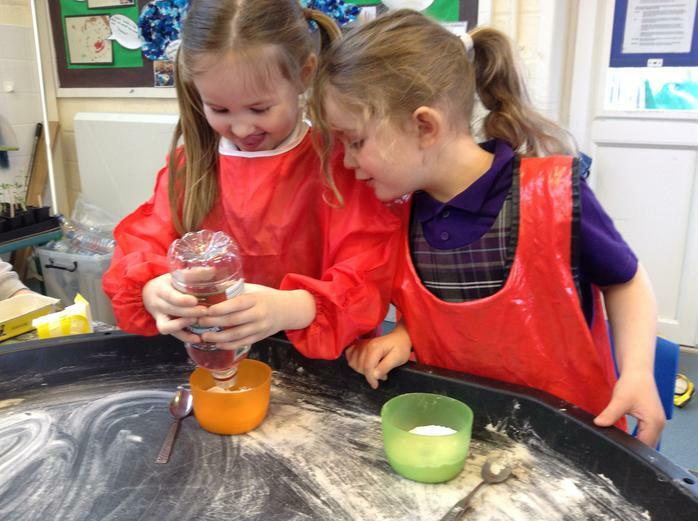 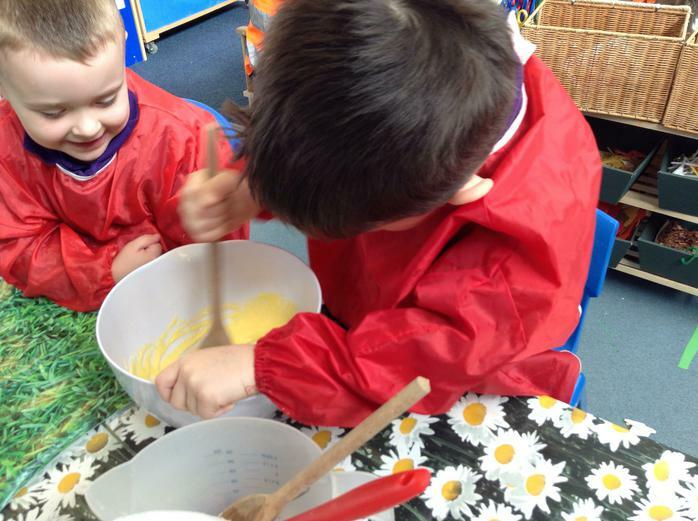 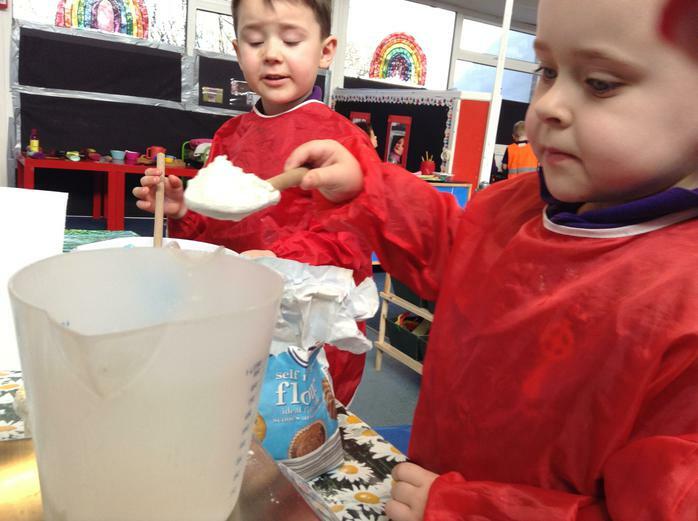 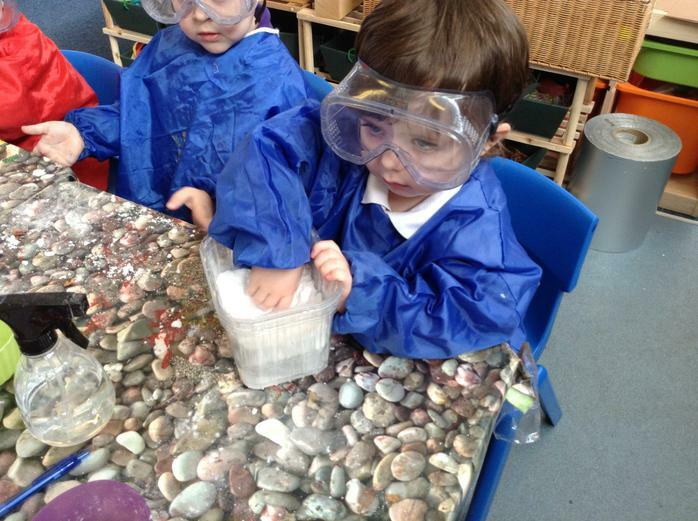 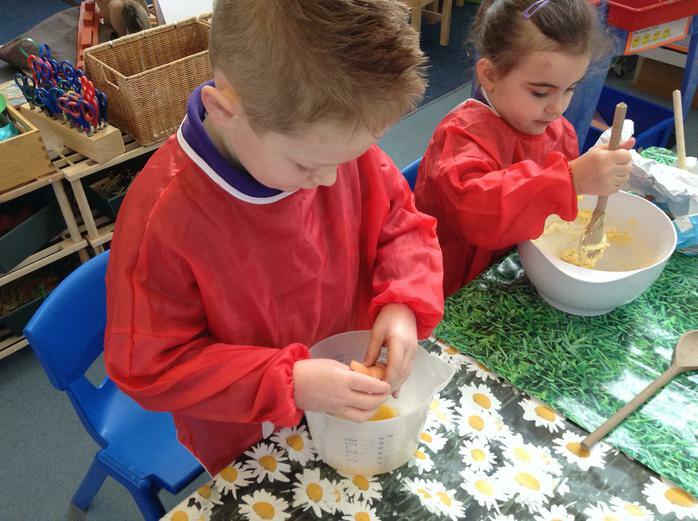 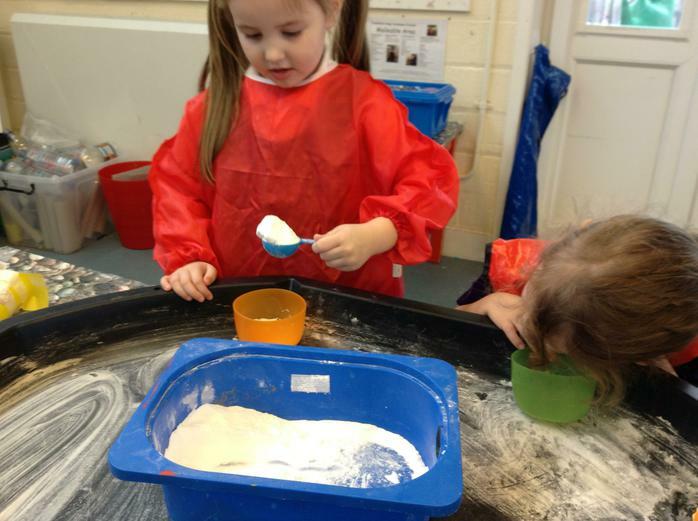 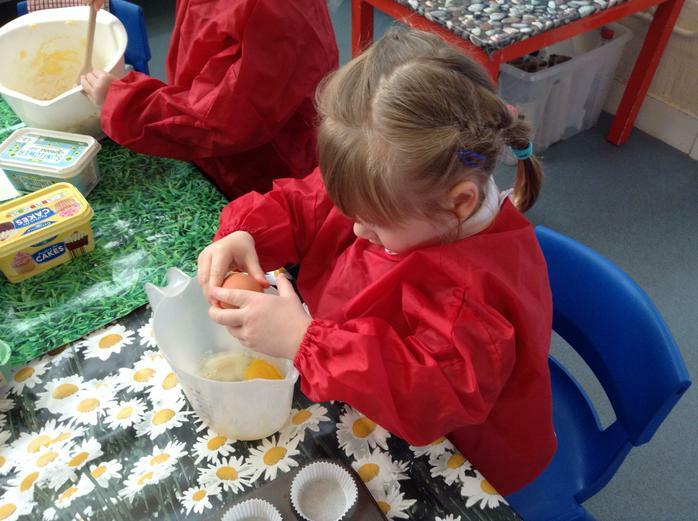 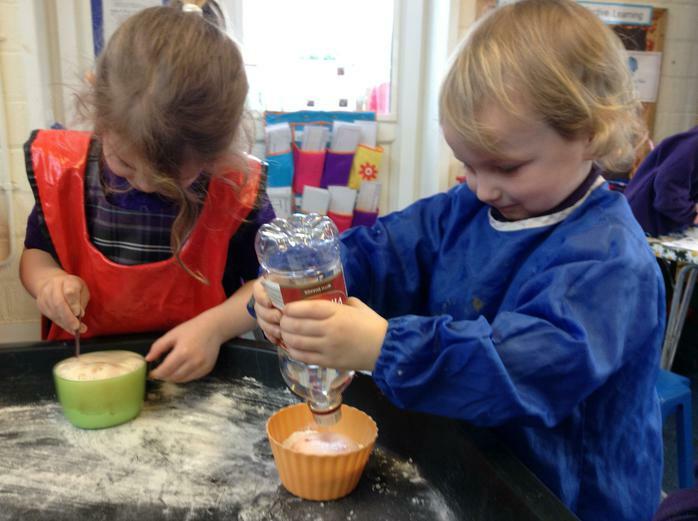 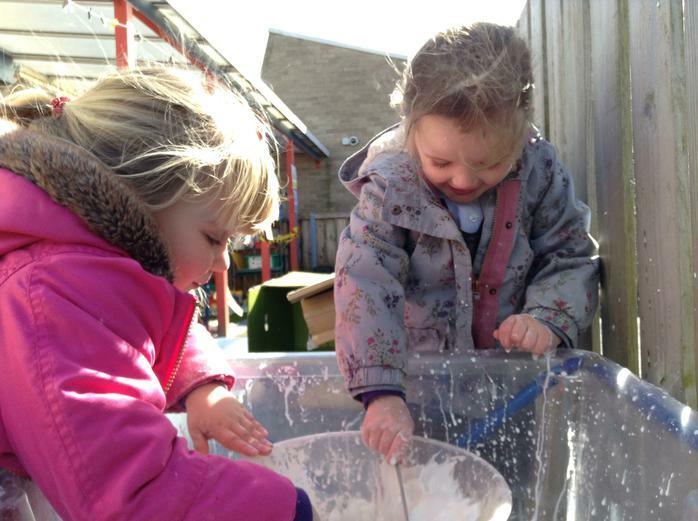 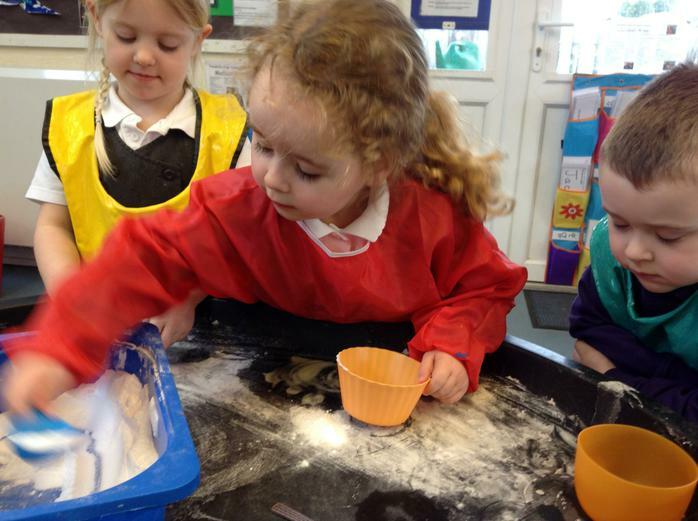 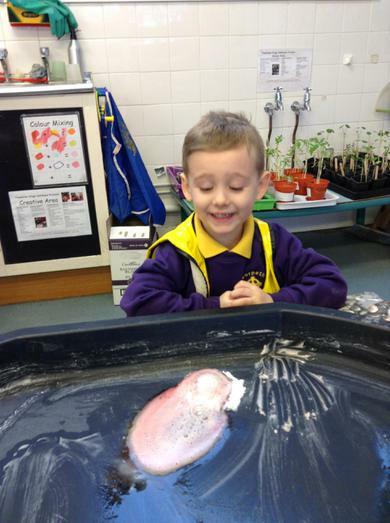 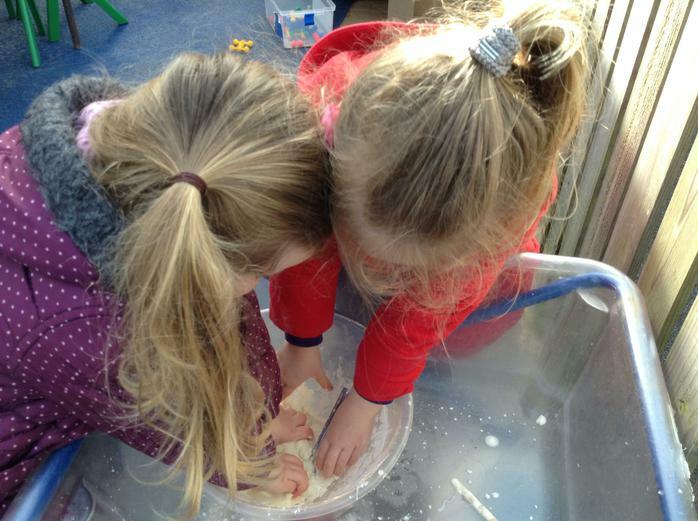 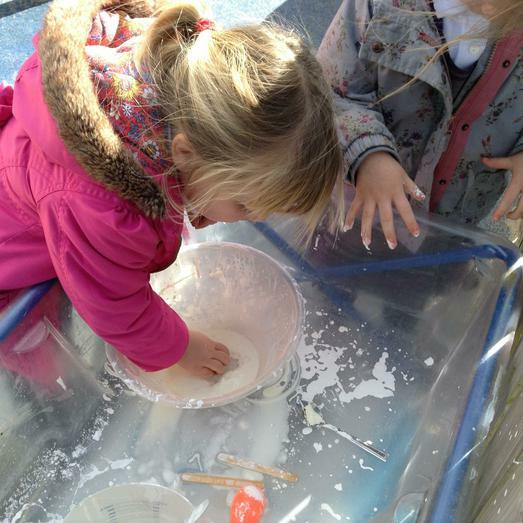 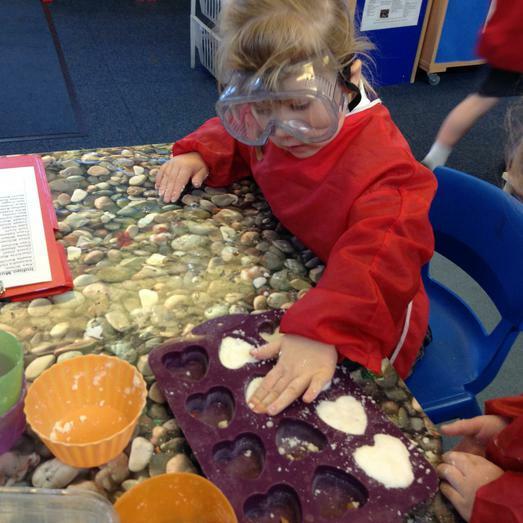 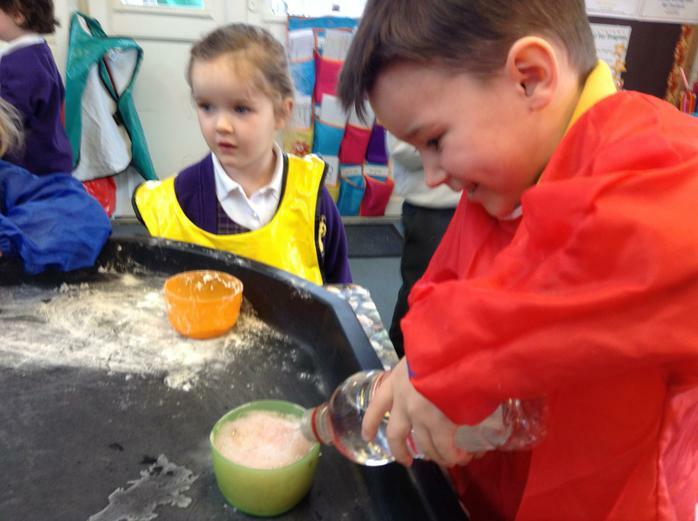 In Nursery we made bath bombs, cornflour slime and volcanoes and looked at the changes that take place when substances are mixed together. 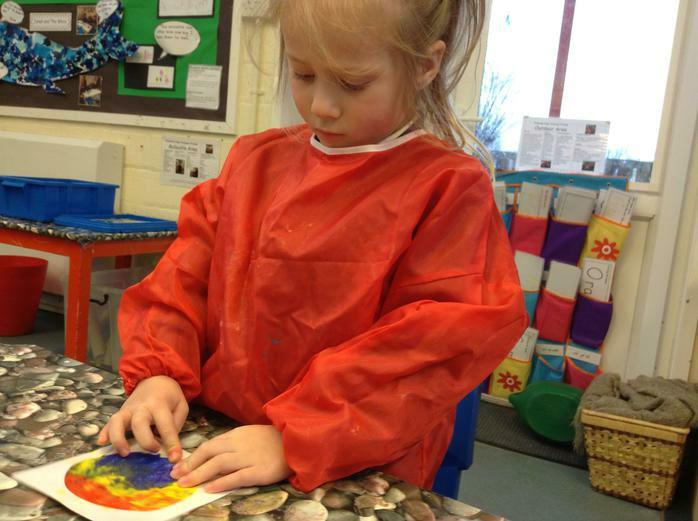 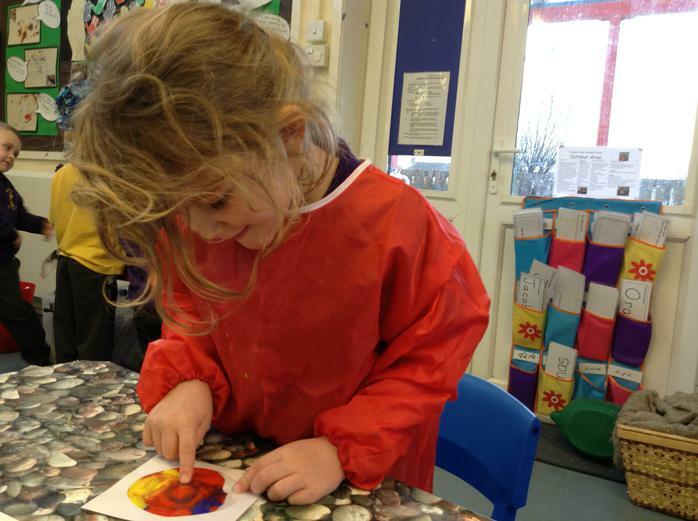 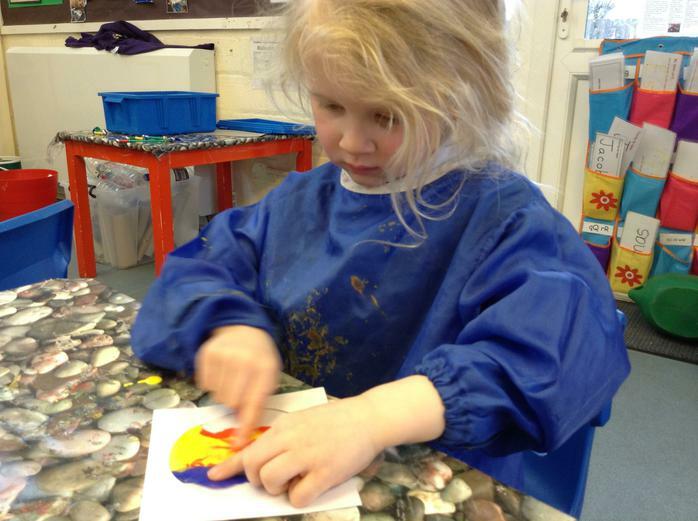 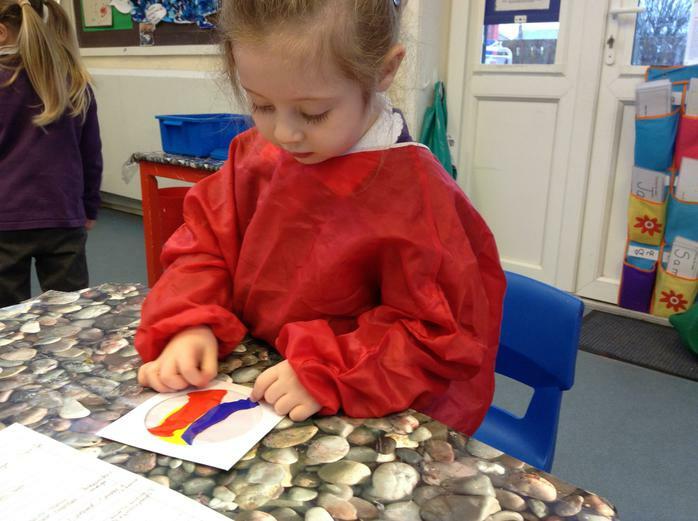 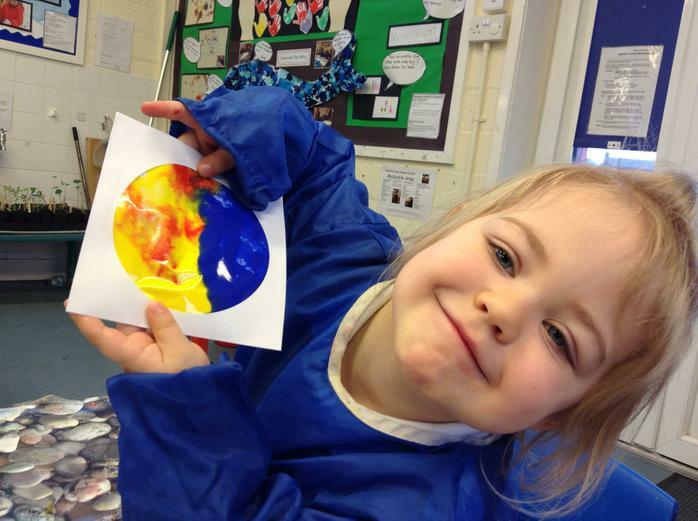 We also discussed what happens when oil and water mix together and mixed various primary colours with oil and water. 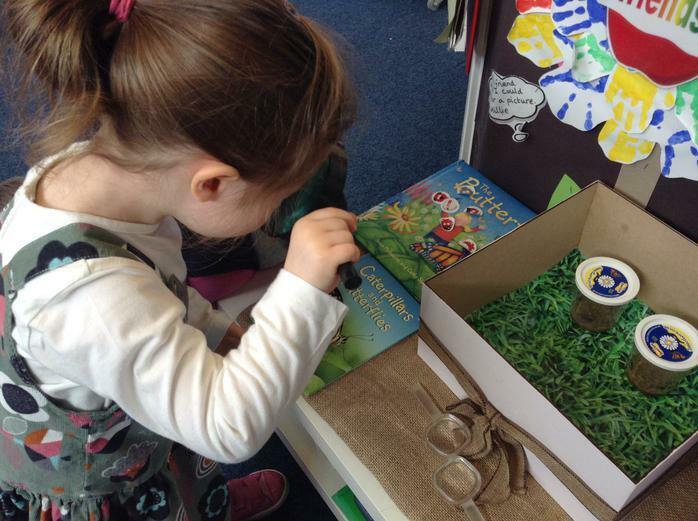 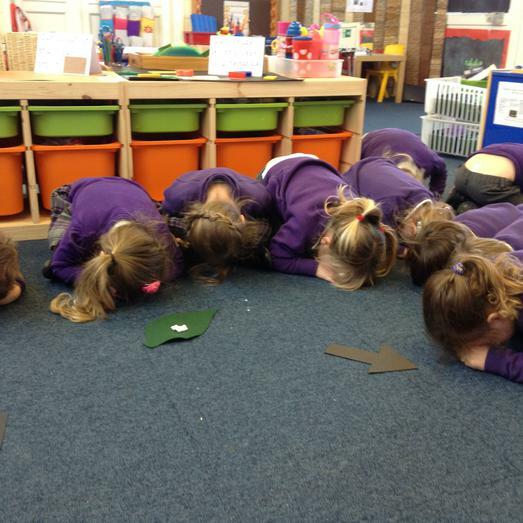 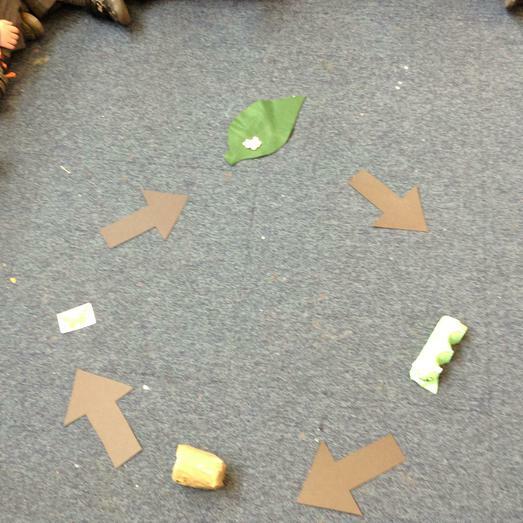 We acted out the life cycle of a butterfly and each day we have taken photographs of our caterpillars with our new digital camera. 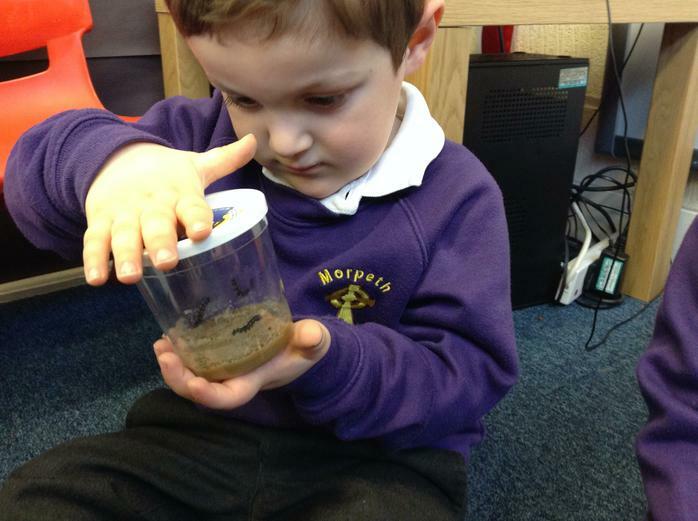 The photos are being saved into our very own butterfly document which we will make into a class book. 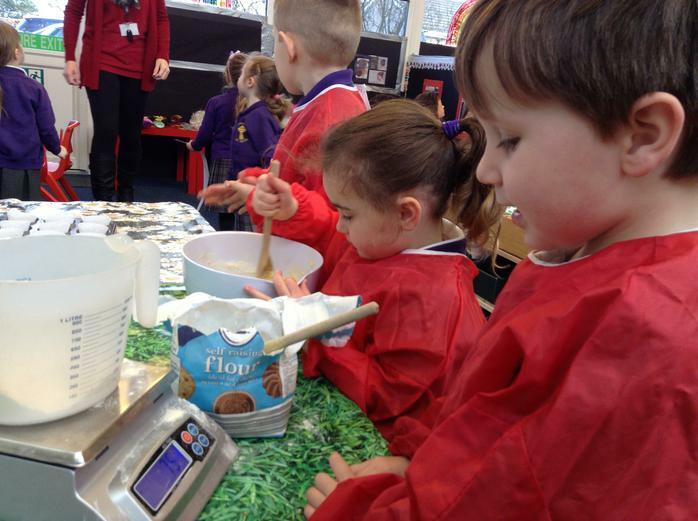 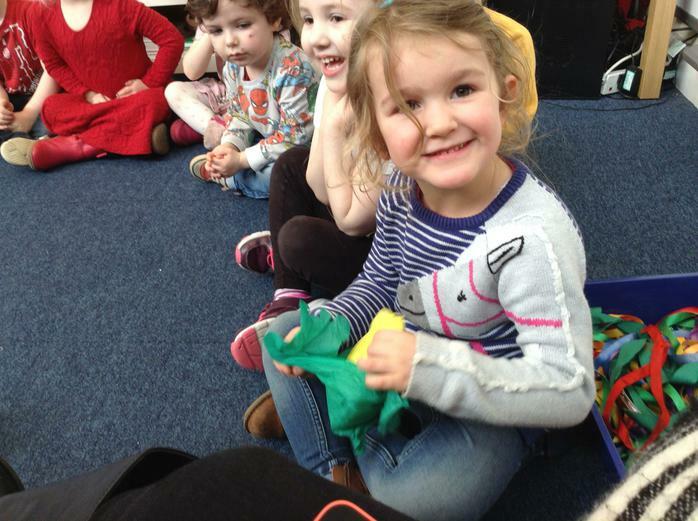 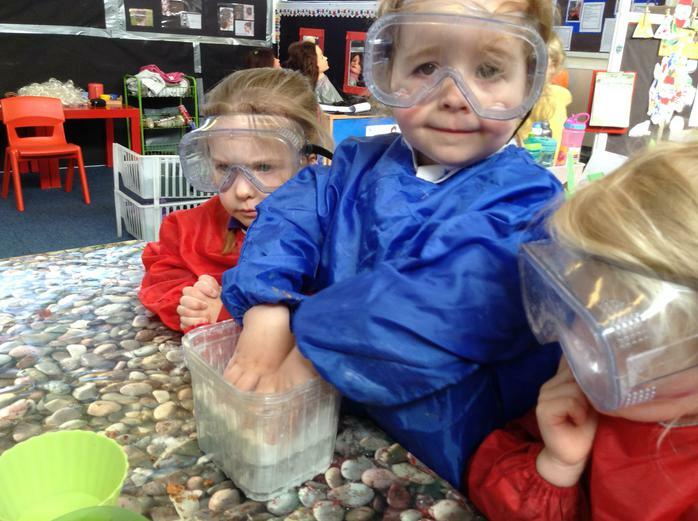 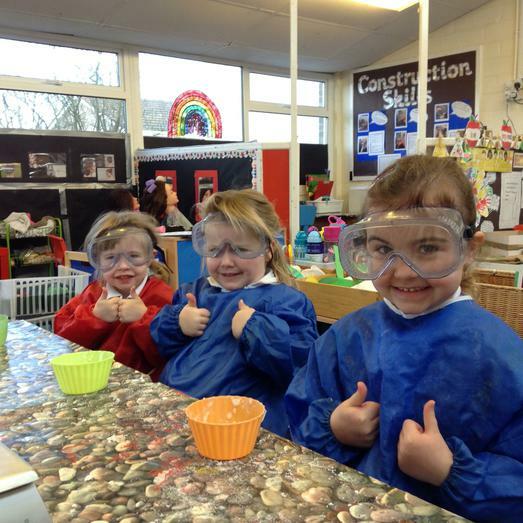 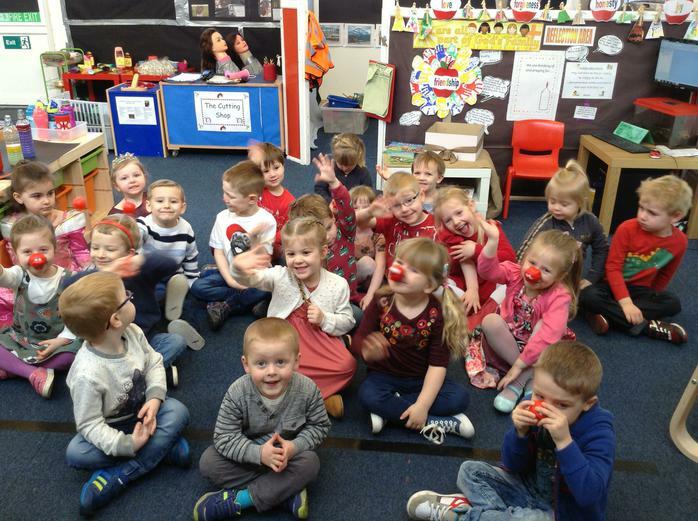 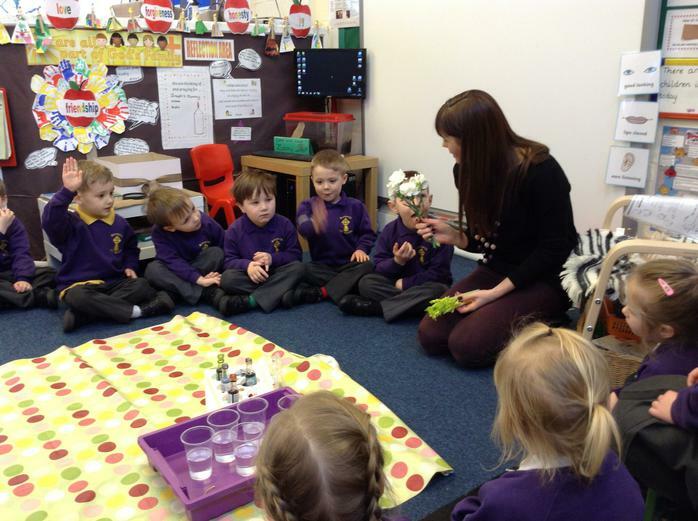 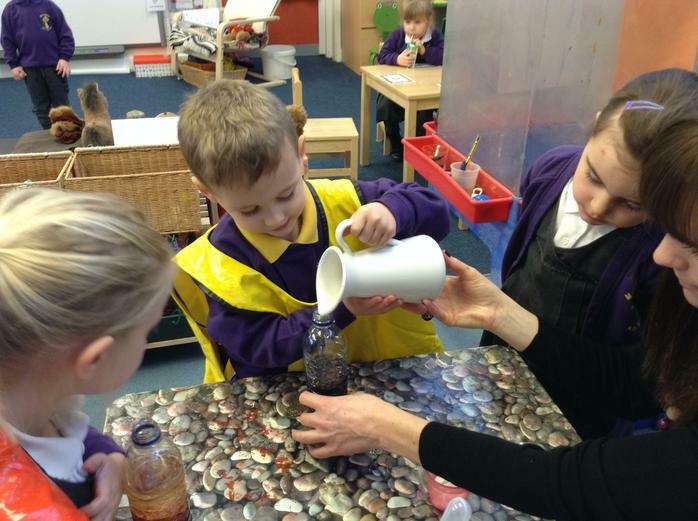 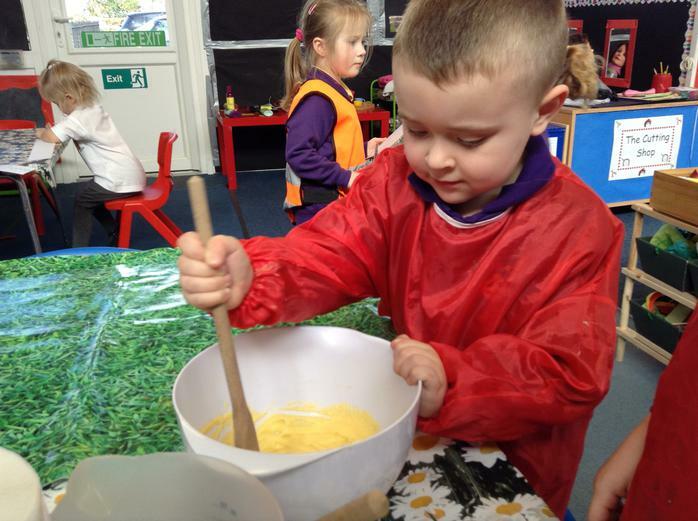 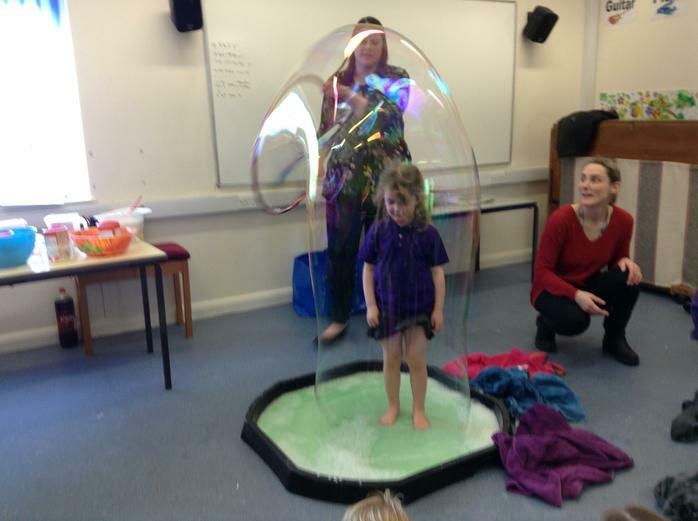 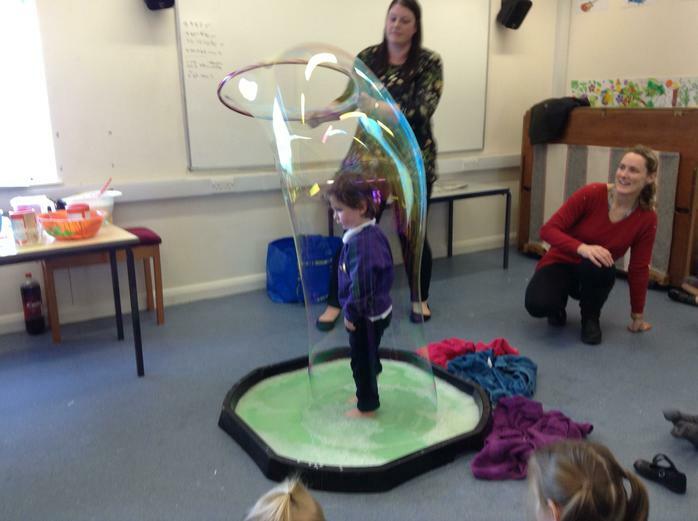 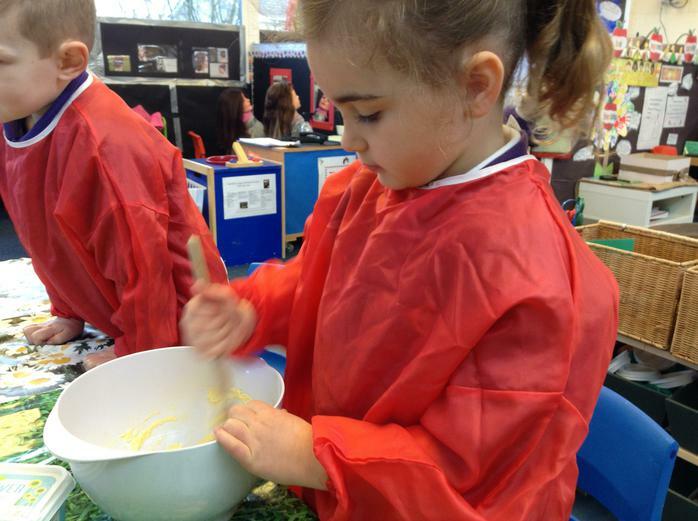 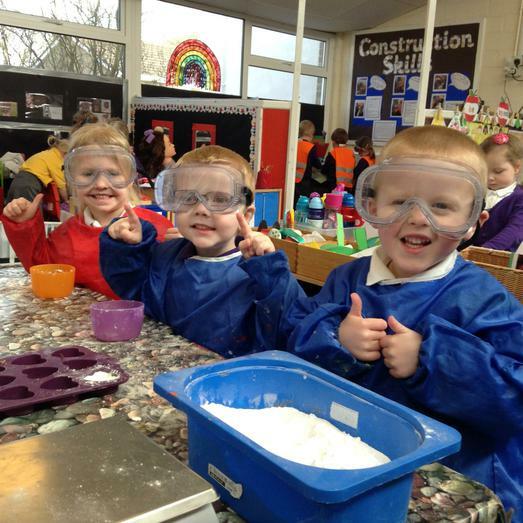 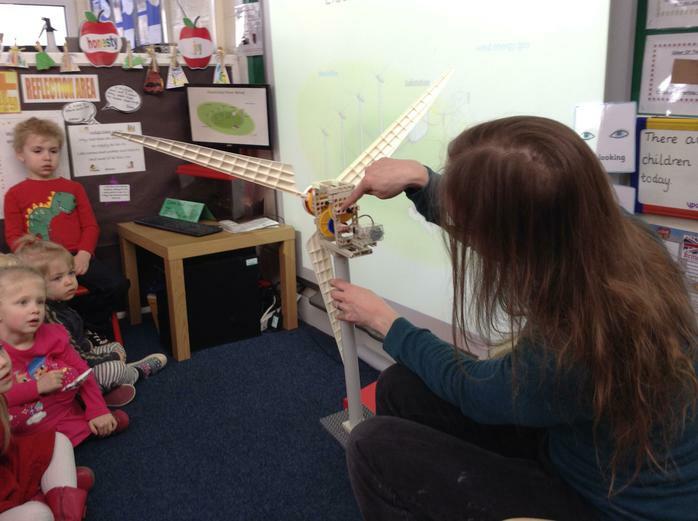 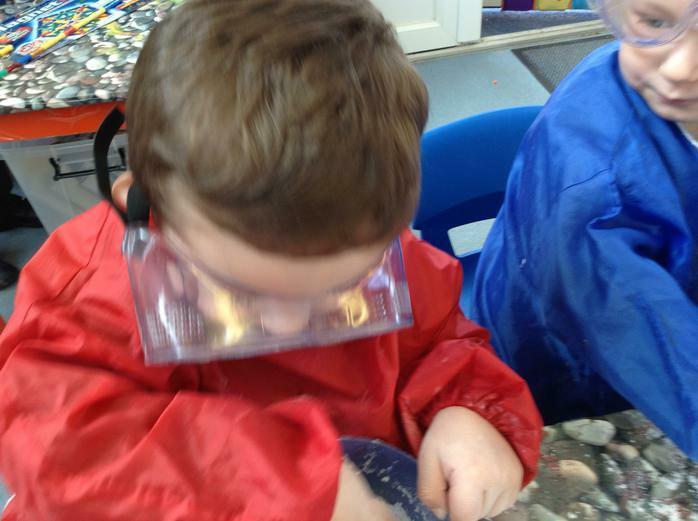 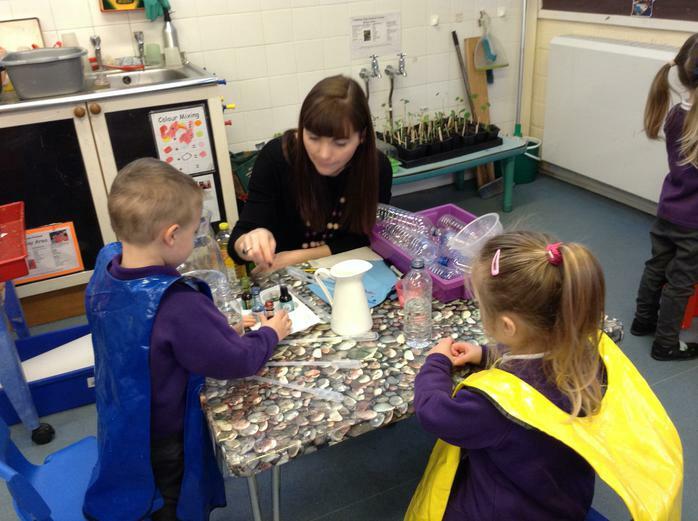 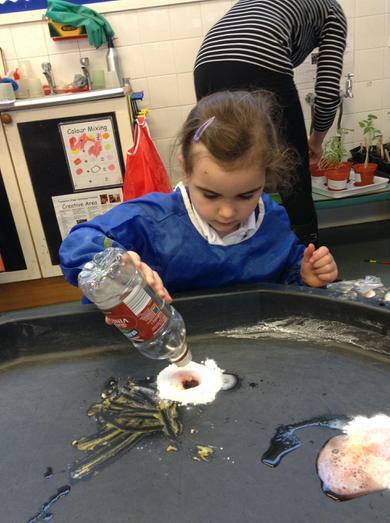 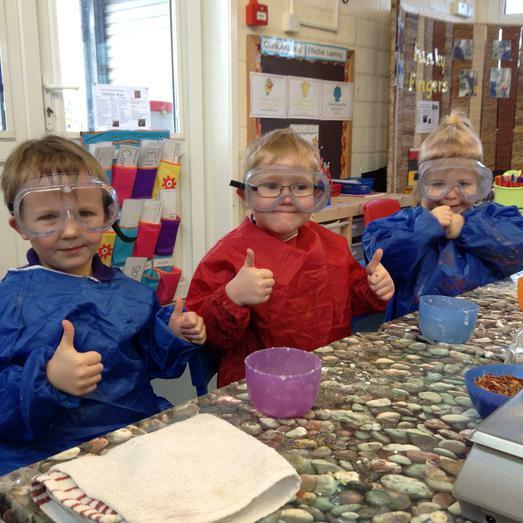 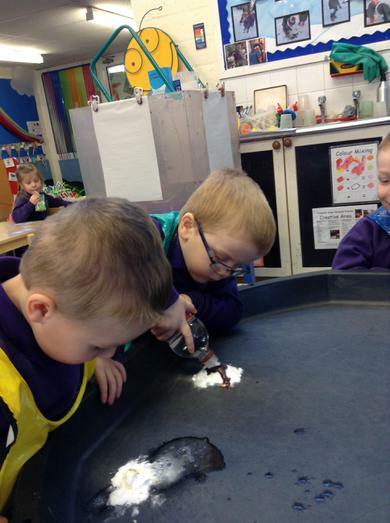 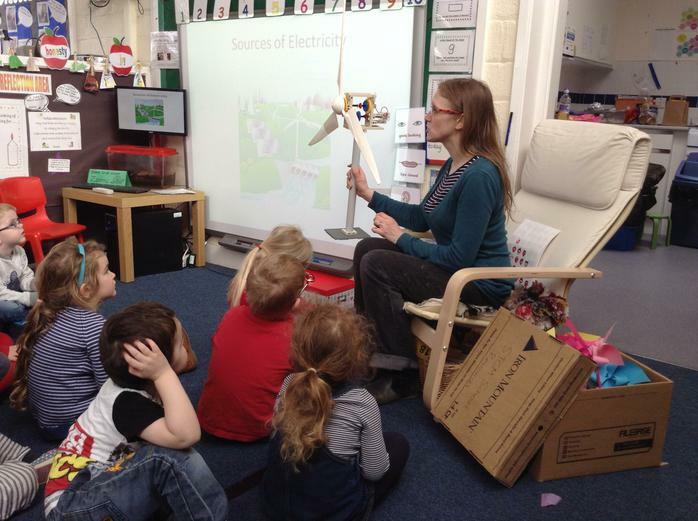 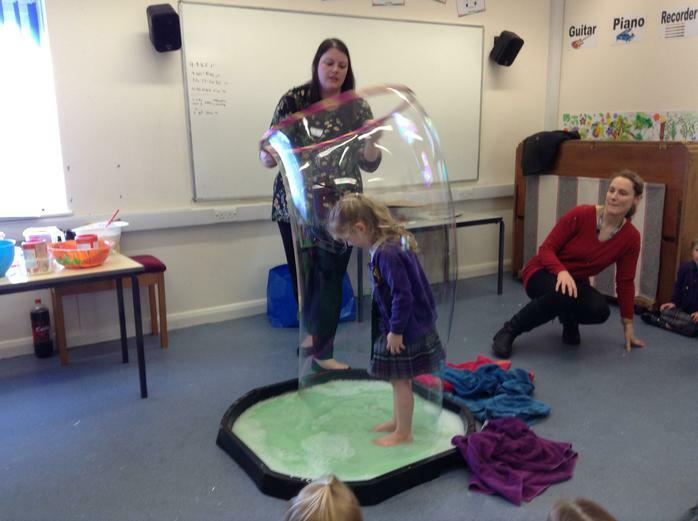 Nursery would like to say a big thank you to Mrs Sanderson, Mrs Burville and Mrs Dewhirst who came into Nursery as part of our Science week. 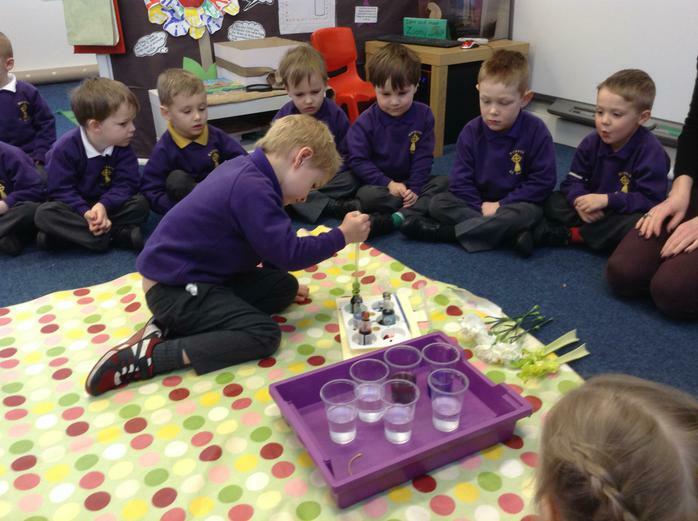 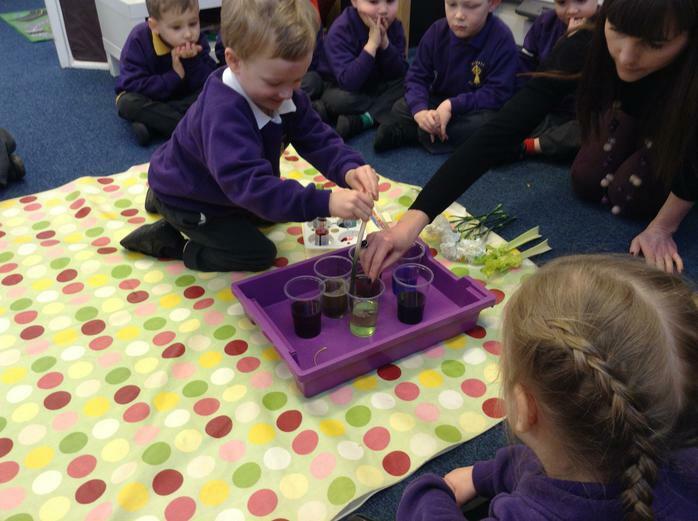 We enjoyed taking part in experiments and discussions with them throughout the week. 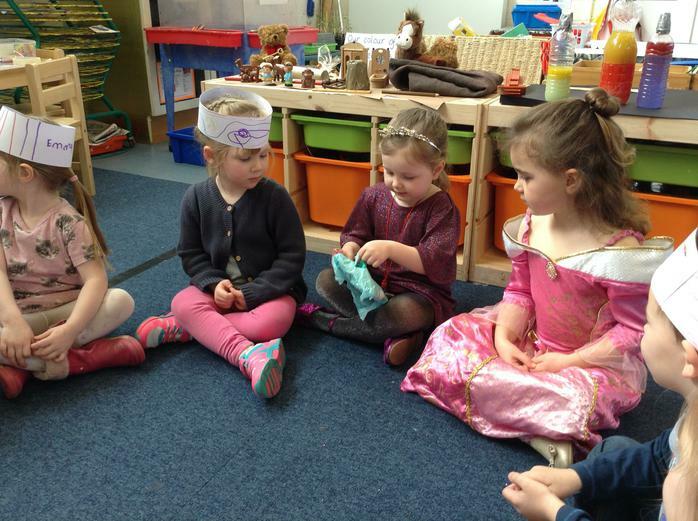 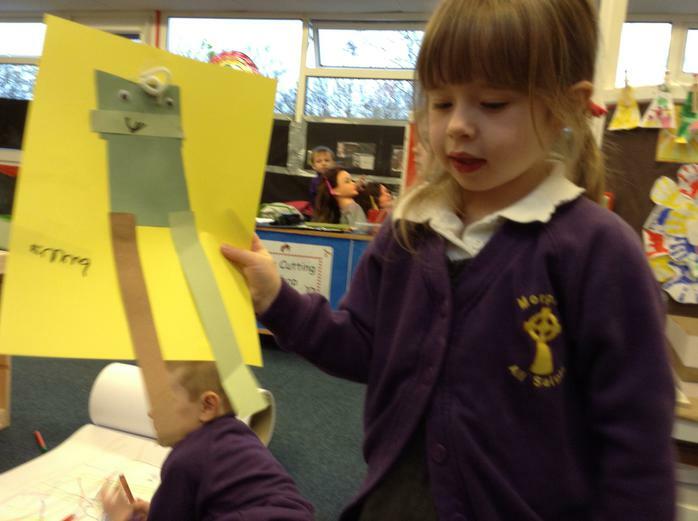 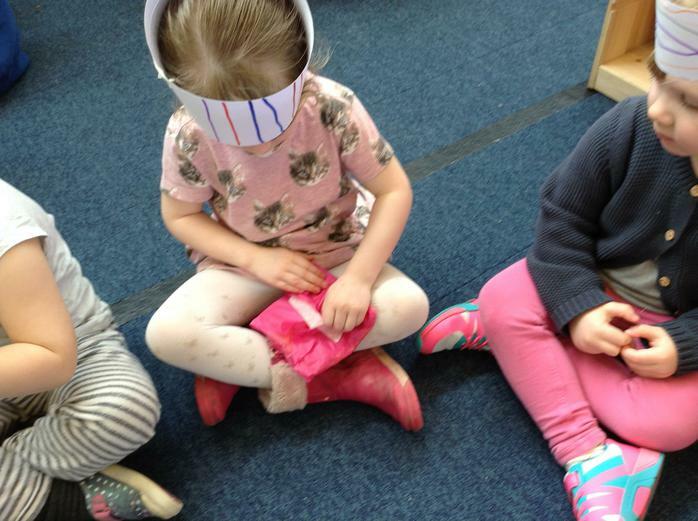 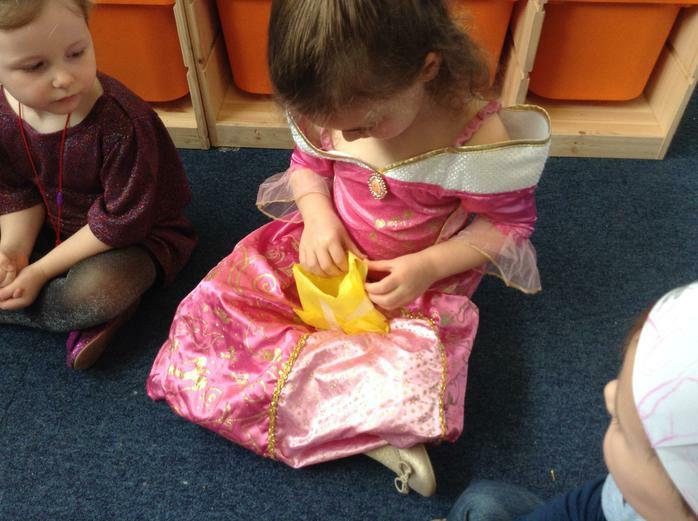 Some of the children have an interest in parties so they wrote invitations and made party hats and on Friday we had a mini party. 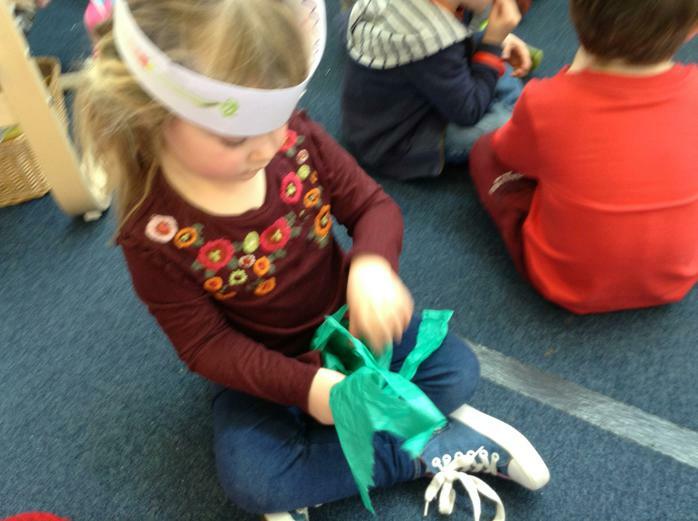 We enjoyed party games, dancing and party food. 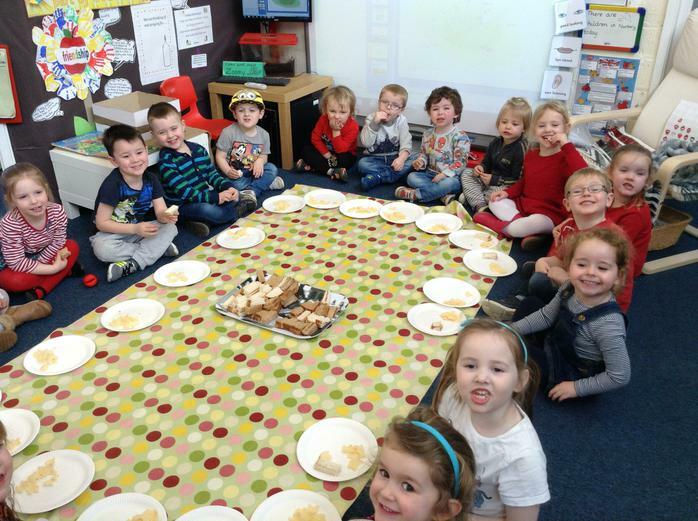 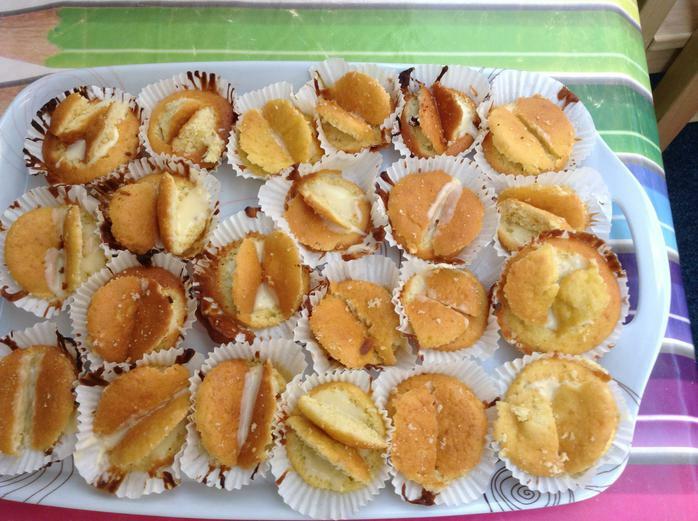 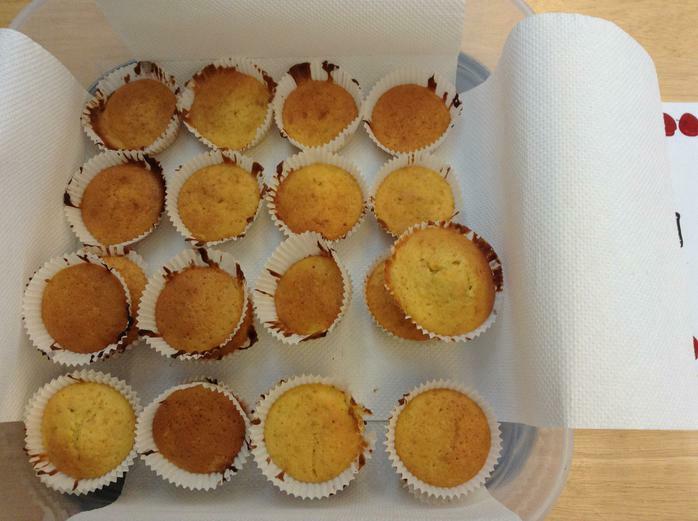 We even had rectangle sandwiches which linked to our shape of the week and butterfly cakes. 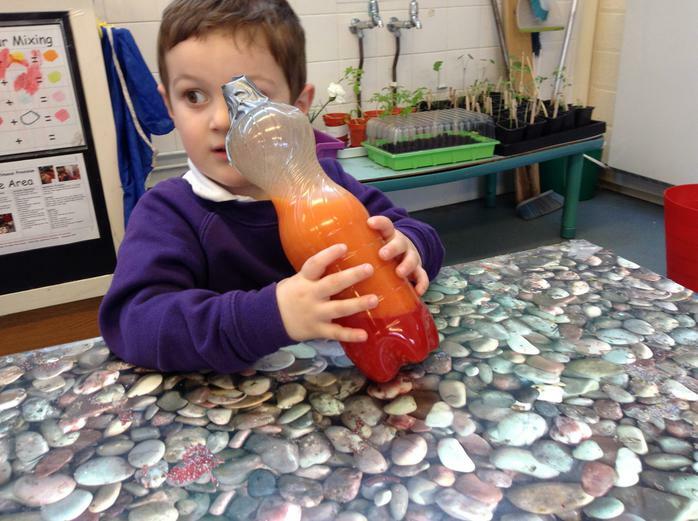 Colour of the week - Orange.Please bring in a named object for our orange table. 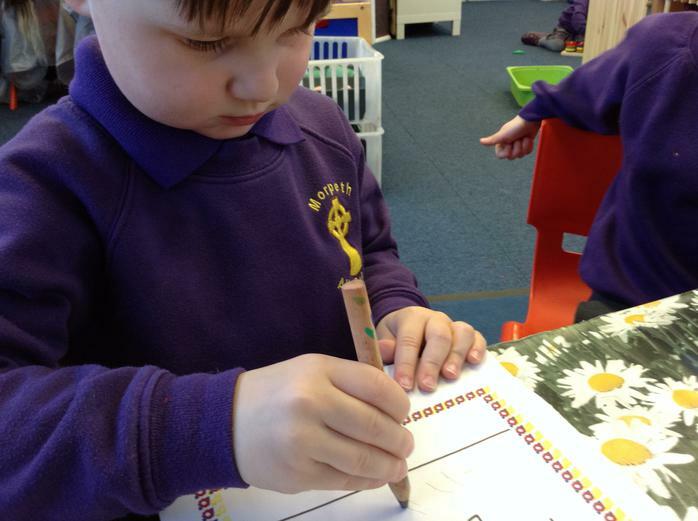 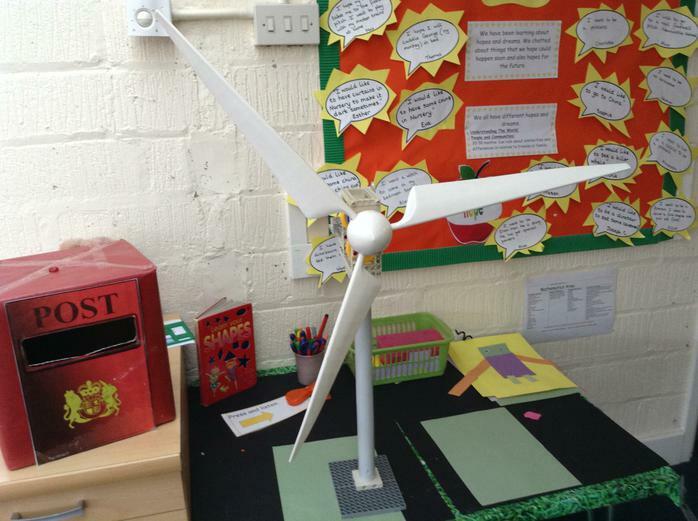 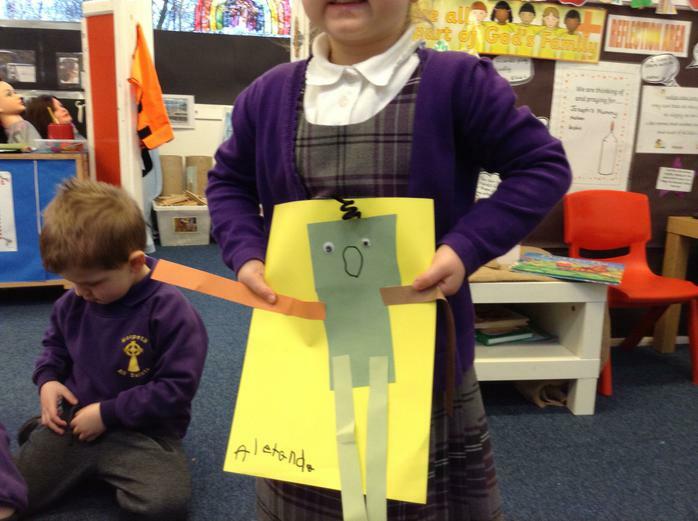 Letter of the week - O - Think of objects that begin with 'O' around your house. 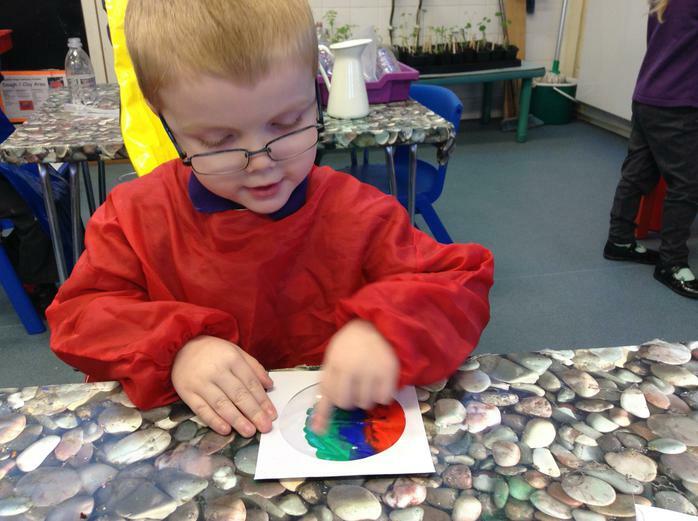 Shape of the week - Oval (following a child's interest) Please bring a named object that is an oval shape for the shape table. 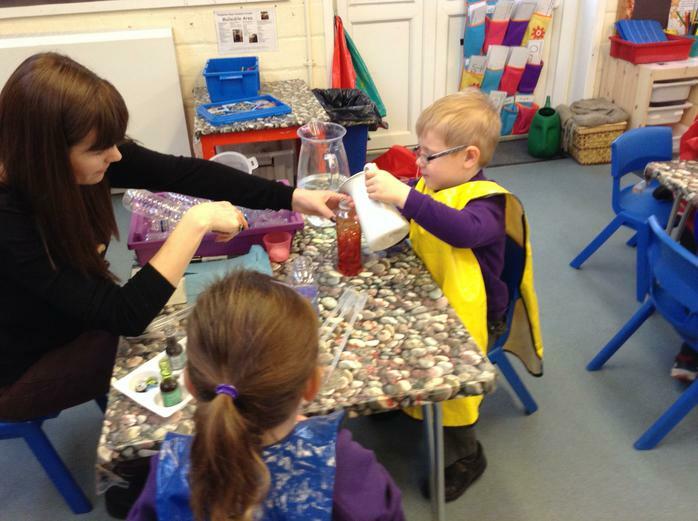 Parent Consultations will take place from 3.45 pm on Monday(27th March) to Wednesday (29th March) and also on Thursday morning (30th March). 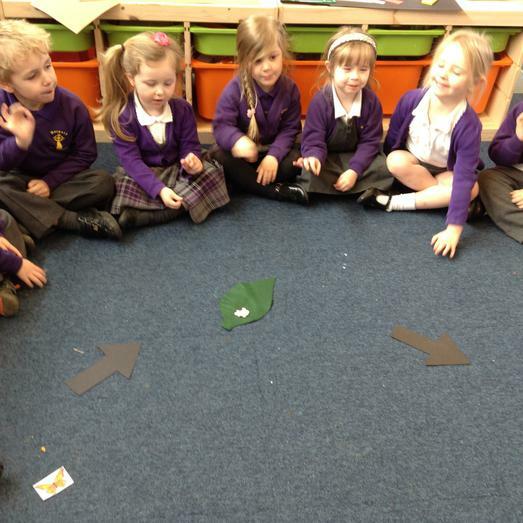 These are ten minute consultations to discuss progress and targets. 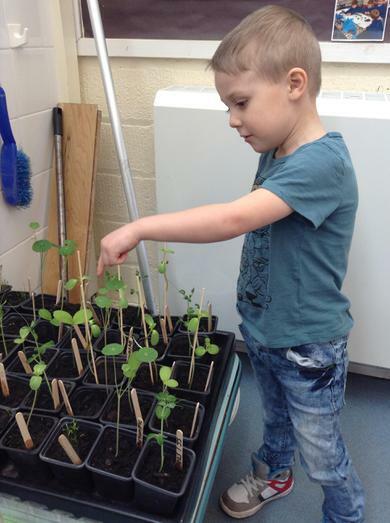 if you have anything you would like to discuss about your child that may take longer please see a member of staff and an appointment will be made at a more convenient time.